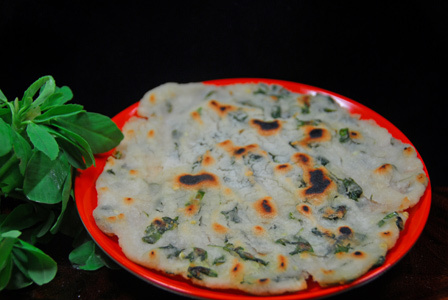 Roti batter is prepared with idly rawa and urad dal. The batter is then fermented and made into thick rotti. 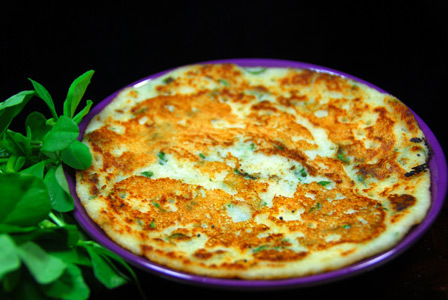 The rotti is layered with freshly chopped onion and peas mixture. 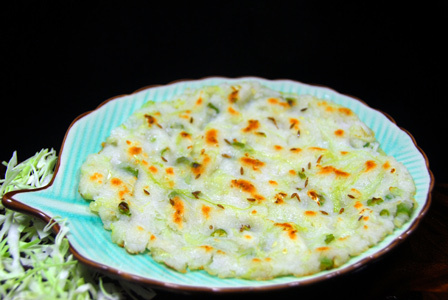 Once the peas onion rotti is cooked, it can be served with coconut chutney or with sambar. 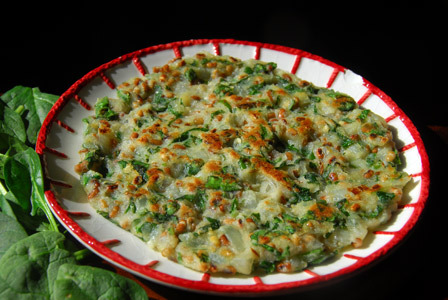 Makes: around 5 Peas Onion Rotti. Heat a pan on low heat, add broken red chiles. Roast until red chiles change color (around a minute). Grind the roasted red chiles into fine powder using a spice grinder. If using frozen peas, wash them under water for few seconds. In a mixing bowl, mix together chopped onion, peas, cilantro leaves, cumin seeds, roasted red chili powder, salt and keep aside. Layer the rotti with prepared peas onion mixture. Cook the roti for another 2 minutes on a low flame for onion to cook a bit. 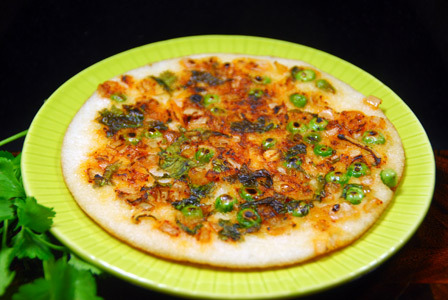 Serve peas onion rotti with coconut chutney or with sambar. Other Names: Peas Onion Rotti.